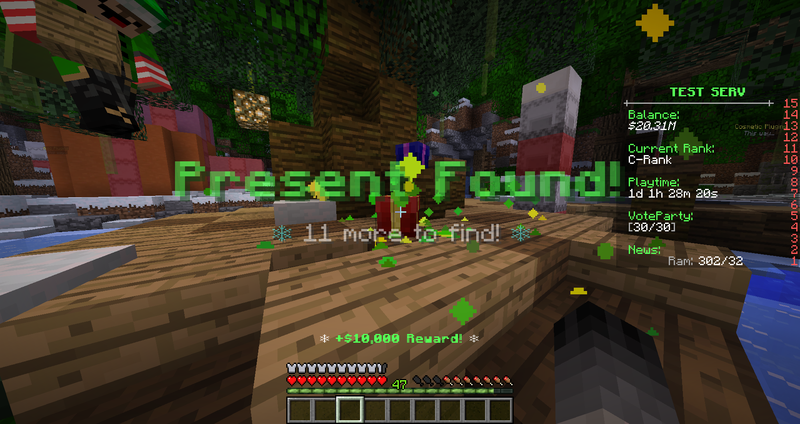 Find all blocks in your lobby to get a reward! Add blocks to your lobby, waiting to be found for rewards! It's completly free, and open source. If you feel like it, you can even add your own features! Particle support. 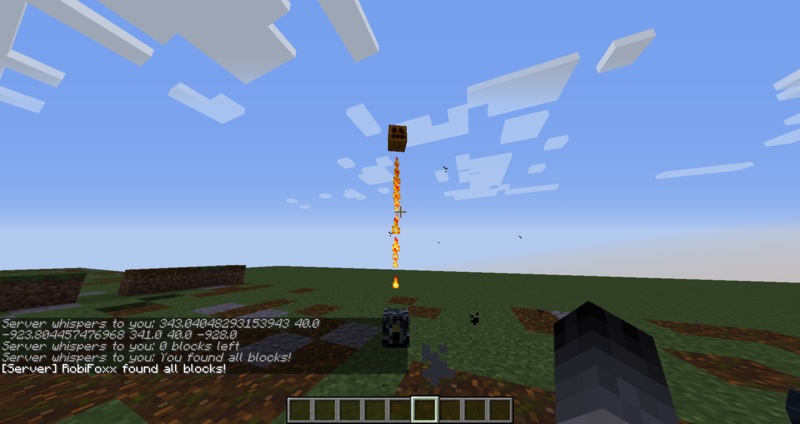 Displays particles per player near blocks, depending on the block state. Either found or not. Find effect, just like on a popular server! 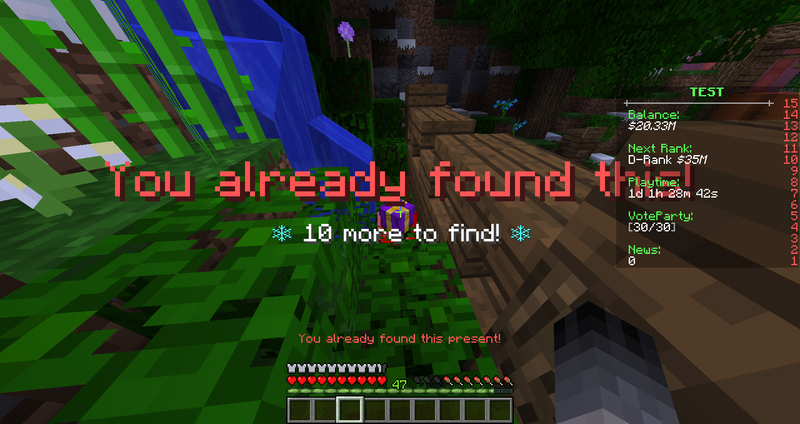 A feature that no other block scavange plugin offer so far: Hide blocks you already found, so you will only find blocks that are left to find! And of course you can disable these features, if you feel like it. You have a list of commands here for each event. rawmsg is the command from the RawMSG plugin. /blockquest stats » Check block statistics. If you would like to see your plugin here, PM me your server's ip. GabTM, qwertykiller, andrey22881 and 4 others like this. Nice plugin.MEN you can create one plugin more? My idea is one plugin like Delivery DeliveryMan hypixel.Obviously with your own ideas.What its your aswer? 1.12.2 should be working properly. You really did a good work! I've been looking for a plugin like this for a LONG time. Works just as it should and extremely easy to set up. I would love to see more features added like different .ymls to load instead of the main config. I will be using this for different holidays, so I will have to change everything, every season. 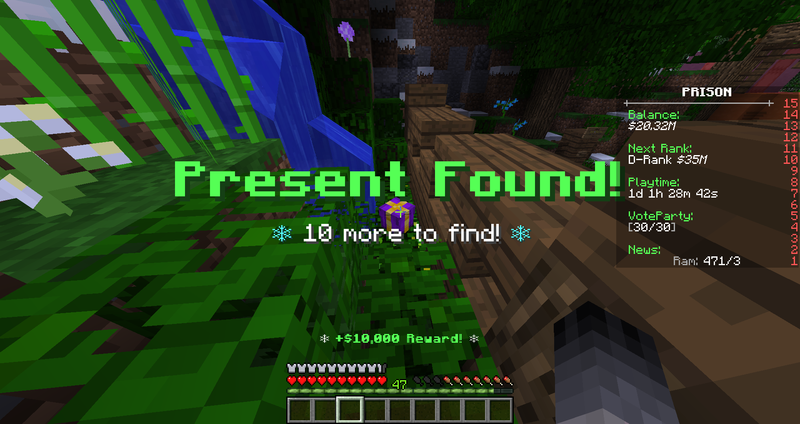 A way to clear the found blocks stats for testing would be great too. The only issue I ran into is that the PlaceholderAPI isnt working for me. It is enabled in the config and there isn't an addon in the papi ecould that I could find, but I can live with it. You just have to set placeholderapi to true in the config file. I assume you are asking if there's an 1.8 version of this. If you do, Well then, I don't want to insult. You don't know how this affects the developer, the plugin, and the plugin's rating, just leaving an one star rating, because you can. You could've PM me. You could've post to Discussion page. You could've join our Discord. But no, you choose the ratings/reviews. Perhaps your problem is understanding the noun "Rating" or "Reviews"
a critical appraisal of a book, play, film, etc. published in a newspaper or magazine. Also as I looked at your ratings, you are doing this to other plugins, too. If you are really that lazy, that you won't test the plugins before rating, or don't know the difference between "Tested Minecraft Versions", and "Only Minecraft Versions It's Working On", I politely ask you to do not download and/or use any of my plugins, and just find another alternative, because I do not need people like you. Update to 1.12.2. 1.8 is more than 2-3 years old. You can't just stick at one version forever. Could you add 1 little thing for me? In the end of the event i want to check the top players. Could you add a .yml file containing a list where the best players are on the top of the list with username? Super Plugin nur zu empfehlen. Mir sind kleine Bugs im Source-Code aufgefallen, aber sonst Super arbeit! RobiFoxx created a great plugin. He is very helpful and helps me immediately. Thanks! Kankō | EDIT CONFIGS IN GAME! Want a comfortable way to edit configs? Creating more config files was never this easy before! An addon for Treasures, which can get your recent loots. On death, you will become ghost.